Bring big business performance to your office with the Dell 2350dn Monochrome Laser Printer, which offers networking capabilities and outstanding resolution for your documents and presentations. With a print speed of up to 40 ppm, your documents will be done before you know it. 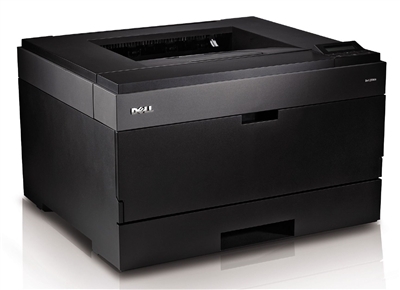 The 2350dn features duplex printing, allowing you to save time and money by printing multiple pages on a single sheet of paper. The 250 sheet input capacity can be expanded with an optional 550 sheet tray, giving you more flexibility on your big print jobs. Toner and drum are not included with this machine. You can find low cost options on the right hand side of this page.